Denver based charity, A New Dimension of Hope is raising funds to open a school in an ebola ridden Liberia and offering personal letters from a Nobel Prize laureate, a trip to Africa, or a school named after you in order to do it. 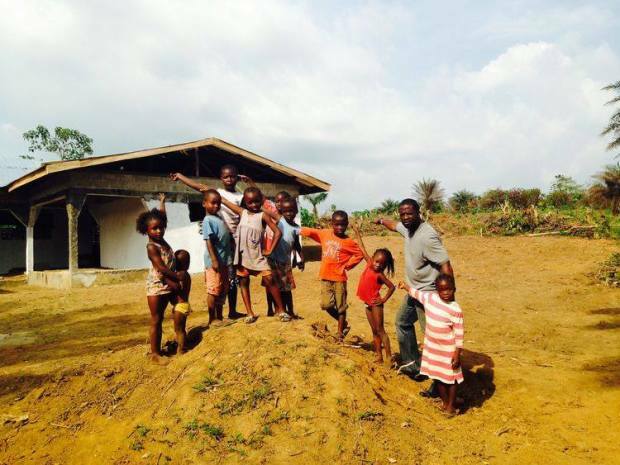 TROYA TOWN, LIBERIA - A New Dimension of Hope has launched an Indiegogo Fundraising campaign to raise $15,000 in the final steps of a three-year project to open a school for children of Troya Town, Liberia and the surrounding villages. The project, begun in 2012, has already completed the construction of the school, which plans to open in July of 2015. The school has the support and participation of 2011 Nobel Peace Prize winner Leymah Gbowee, and will initially provide an school supplies and meals to 100 children, and salaries to six teachers and a principal. Eventually, the school will educate 350 children a year. “We really have such a small amount to raise and we think we can do it by July,” says New Dimension of Hope Board and Global Team Member, Anthony Angelini. “We are offering great donor perks on the Indiegogo web site including travelling with us for the official school opening, or a hand-written letter from Leymah Gbowee. For me, though, the most meaningful - and affordable - gift is a poster of the school signed by the entire first class of students and teachers for only 100 bucks.” Angelini, one of the organizations global leaders, is a Ventura County native and lives in the Los Angeles area. In 2012, A New Dimension of Hope received two acres of land from Troyah Town and began construction on a fully-equipped school that would not only help the local children of Troyah Town, but hundreds of the children of neighboring villages. Construction of the school was completed in early 2014, but due to the devastating outbreak of Ebola in West Africa, it was never able to open. The outbreak shut down schools for over 6 months and ultimately left over 5,000 people dead. A New Dimension of Hope was founded in 2010 by Mr. Ebenezer Norman, while traveling in Monrovia Liberia. He found that too many children are missing out simply because they do not have access or the opportunity to go to school. Only 18% of children in Monrovia can read and write. Ebenezer grew up in a similar situation, and has a passion to make a difference. His vision is to see less fortunate children around the world have an opportunity to receive an education. “With little infrastructure, remarkably low literacy rates, very high unemployment, and a massive amount of orphaned children, Liberia is in desperate need for schools like this to open,” says Norman.